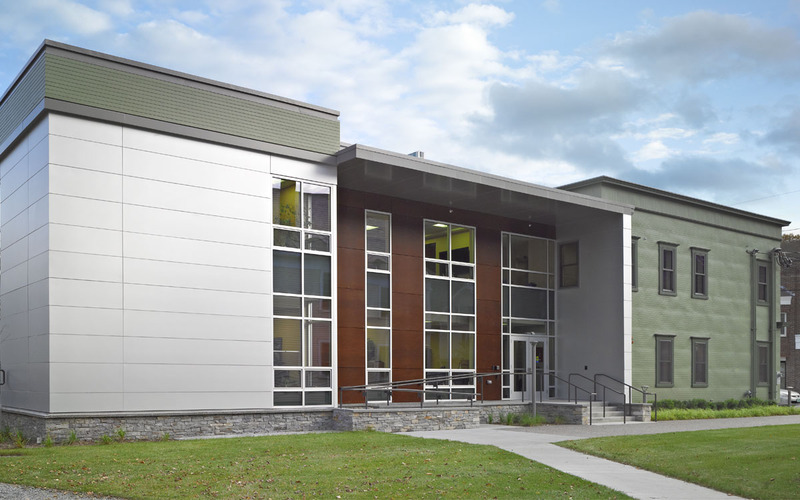 This project for Vermont Law School transformed the South Royalton Legal Clinic (SRLC) into the new Center for Legal Services. 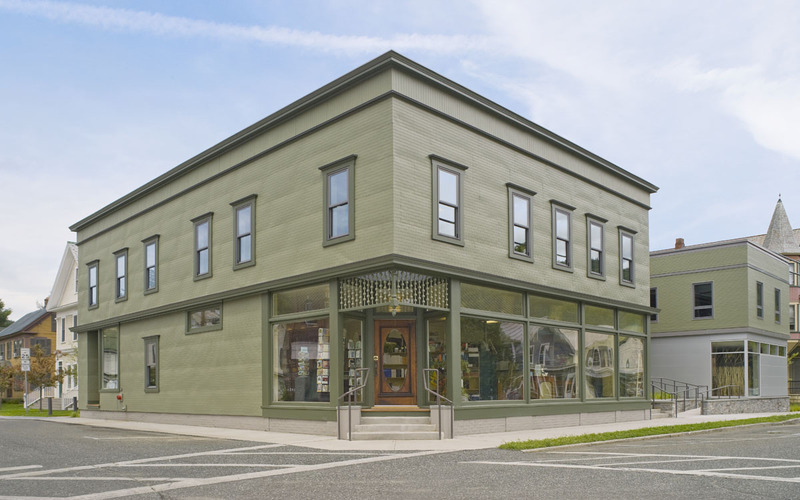 The project is a total rehabilitation of the former Freck’s Department Store building, listed on the National Register of Historic Places in the South Royalton Historic District. 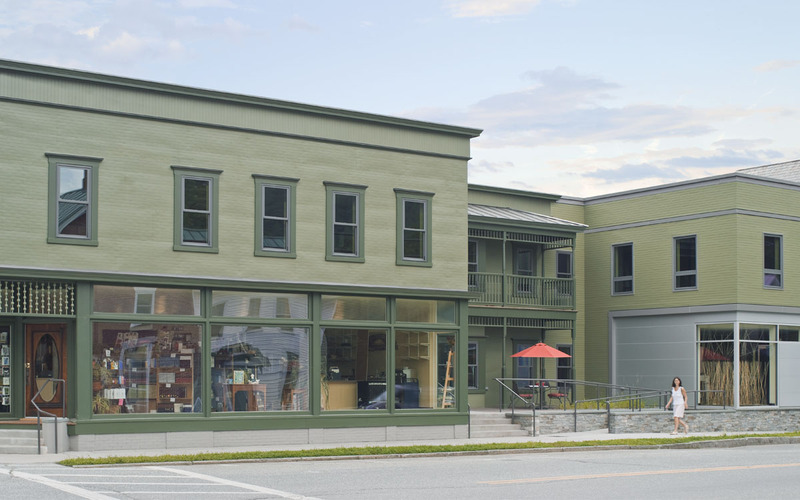 The new design recognizes the significant historic features of the former building that include pressed tin siding, window and door trim, and storefront windows with transoms. 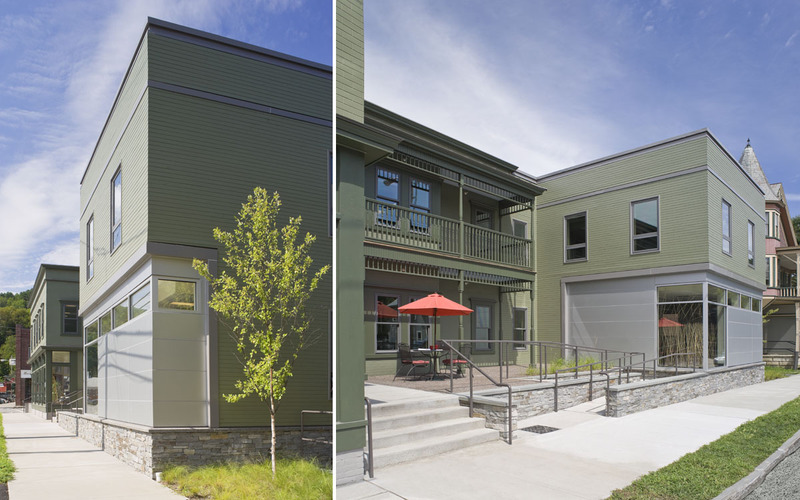 The lower level includes the Environmental and Natural Resources Law Clinic, administration office space, and clinician, as well as conference and shared office space. The second floor is the new home for the legal clinic, meeting and conferences room and general office space. The storefront of 190 Chelsea Street is the new home for the non-profit student-run Barrister’s Bookstore.